Handmade to order, please allow 7 days for delivery. 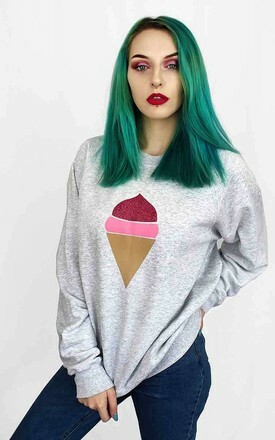 This gorgeous oversized Ice Cream Jumper from our SS16 range is perfect for chilly days in Spring. 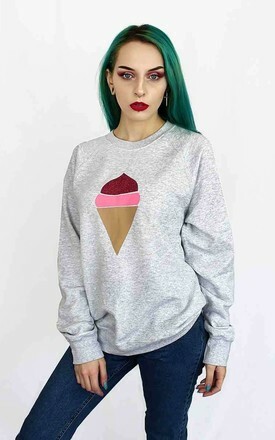 The super cute Ice cream is in a baby pink vinyl and pink glitter which textured transfer set on a grey marl raglan sleeve sweatshirt. The Jumper itself is super soft and oversized for a comfortable and relaxed fit.